The history of hemp oil and its medicinal uses can be dated back to the earliest eras of medicine and pharmacology, with the first recorded mention of cannabis being used medicinally being found in the Great Herbal encyclopaedia of the Emperor Shennong which is one of the earliest texts on herbal medicine, dating back to 2700 BCE. Up until its abrupt prohibition in 1930, less than 100 years ago, cannabis was the world’s most widely prescribed medicinal plant extract and was an essential part of countless medicines, from cough syrup to digestive aids, from painkillers to corn plasters. Looking at what we have available today there is a need for a broader understanding of cannabis and removal of stigma. Basically, hemp and marijuana are cousins of the cannabis family, and hemp is the non-psychoactive side of the family. With developments in recent years, there has been a lot of research into cannabis and its many health benefits. One of the beneficial products that come from cannabis is hemp oil, of which there are actually 3 broad variations. Due to controversy and the ensuing confusion around this plant, most of us aren’t sure what the differences are except that the hemp oil sold at Faithful to Nature and other health shops is, of course, the legal variety, containing no THC (that’s the psychoactive element of cannabis). But what are these three types of oils that are creating a stir, and what makes them different? These three are hemp seed oil, CBD hemp oil and the “medicinal cannabis” oil that sometimes contains THC and is not currently legal in South Africa. All three of these are made from different parts and different strains of the hemp plant, and extracted in different ways for different effects. 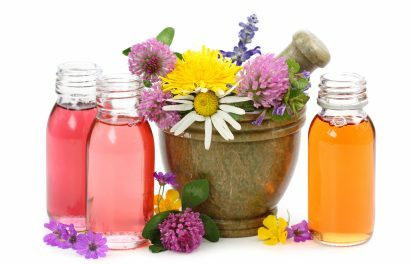 Let’s explore the basics of these oils. Cold-pressed hemp seed oil is currently the most common variety on the market and the best known and widely used. It is extracted from industrially grown hemp seeds, by cold pressing the seeds to release the oil inside. The hemp plants used are strains with no traceable amount of THC. Although hemp seeds do not contain the cannabis plants desired CBD properties required in a potent medicinal application, it is still packed with nutrients and recognised as a powerful superfood worth adding to everyone’s diet. Hemp Seed Oil is recognized by the World Health Organization as a natural anti-oxidant and is the only balanced (perfect 3:1 ratio of Omega 6 to Omega 3) source of Essential Fatty Acids. It is also a good source of Gamma-Linolenic Acid and contains a high content of the enzyme lipase, which is a superior non-invasive chelation therapy for removing plaque build-up (undigested protein and cholesterol) from arteries and cell membrane. Hemp is also the only plant oil containing Vitamin D, which is necessary for Calcium absorption, especially useful to vegans. Because hemp oil supports healthy pH levels in the body, and combats chronic inflammation, it helps to create an environment that discourages the growth of cancer cells and thus makes a great supplement for the prevention of cancer and overall health. One of the most wonderful things about hemp oil is that it is easily absorbed by the skin for ultra-moisture and nourishment. Hemp oil is perfect as skin food because it is rich in nutrients, antioxidants, and essential fatty acids and thus makes it the ideal carrier oil for massage and healing treatments. Hemp oil not only contributes greatly to the barrier function and appearance of the skin but also offers other benefits such as relief to acne, minor abrasions, psoriasis and eczema. This oil holds all the same nutritional benefits of hemp seed oil, and more. CBD hemp oil is extracted from whole Industrial Hemp plants that are organically bred to contain high concentrations of the naturally occurring CBD which helps our inner endocannabinoid body systems to modulate almost all of our bodily functions. This high-quality Hemp also contains over 400 phytonutrients including several other cannabinoids, terpenes, flavonoids, and polyphenols, and when this oil is extracted by co2, you are left with a product that contains highly sought after CBD plus 400+ other nutrients in a naturally synergistic, easy to use, easily absorbed form. In addition to the long list of properties that Hemp’s Cannabinoids possess, modern science has discovered what may be the most exciting one: We are hard-wired with a system of Cannabinoid receptors throughout our brain and body called the endocannabinoid system. When these receptors are activated they permit 2-way communication between body systems, something that the science books had previously taught was impossible. Hemp is the only plant that can speak to the human body in this way, and this is what makes CBD oil truly special. Other reports include enhanced memory, relaxation, improved mood, cognitive function and socialization. Epilepsy patients with severe mental impairments have remarkably improved cognitively and behaviourally. And, diabetics have reported major improvements in their glucose control and reversal of their neuropathy. CBD Hemp Oil is safe for the whole family. According to prominent Cannabis physician and researcher Dr. William Courtney, non-psychoactive high CBD Cannabis should be considered a dietary essential. The Elixinol CBD oil that we stock at Faithful to Nature comes in two different concentrations of CBD content, 100mg and 300mg. depending on what you are using it for you might want a supplement with a higher CBD concentration. MEDICINAL CANNABIS – WHAT’S THE DIFFERENCE? This is the sticky, controversial and not yet exactly legal oil you may hear about. Before CBD oil was perfected and released, this was the oil that most people used medicinally as it was all they could get and it does contain THC, as well as cannabinoids, in different strengths and concentrations. Strains high in CBD and low in THC are often favoured by medical users who seek to avoid the stoned feeling associated with high THC strains. Cannabis Oil is a Cannabis product, or concentrate, obtained by separating resins from Cannabis flowers by means of an extraction process. Some say that these THC strains are better for treatment of extreme pain, but due to the black market nature, you cannot be sure what you are getting. There’s definitely a lot to know about this issue. I really like all the points you made. Can you take this product safely with warfarin? Hey Niki, unfortunately we can’t give you a solid answer on this one. Always best to seek the advice of your healthcare practitioner when taking medication in combination with hemp products. Thanks for sharing the information it’s really helpful. My friend recommends me the CBD oil and Hemp oil for me to use because I’m having a hard time to breathe every time i do my household chores. She told me that it may help reduce symptoms related to cancer and side effects related to cancer treatment, like nausea, vomiting, and pain. And upon researching about it i saw that the cannabis can help us in many ways as well as in medical purpose. So is this safe for me to use because im pregnant now for 2 months? Hi Kirk – it’s always best to consult with your medical practitioner when looking at starting any kind of supplements & they will be able to advise you on the safety and risks involved.